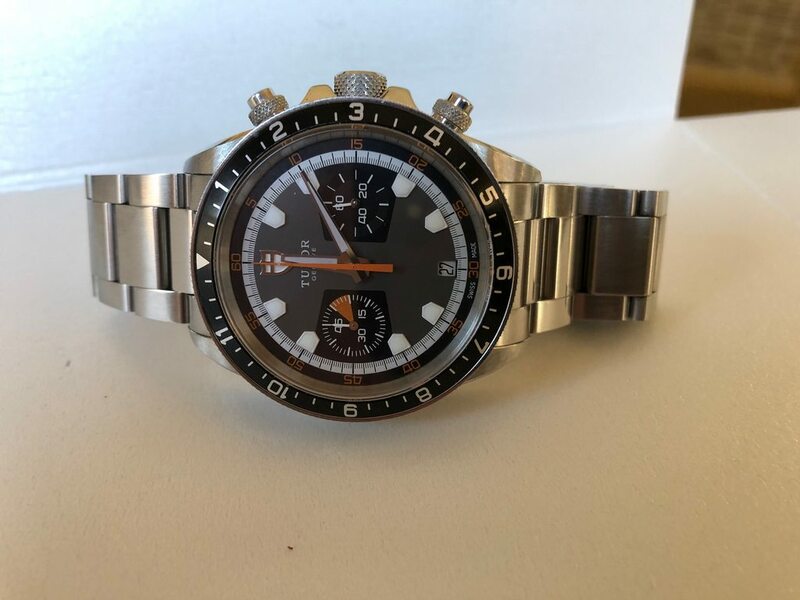 Up for sale is my Tudor Heritage Chrono. Beautiful Gray dial with black sub dials. It comes complete with all boxes and papers, and Tudor nato strap.